Sky has announced that a Ginx eSports TV pop-up channel will launch on August 13th as part of the Sky Starter Package. “We’re extremely excited to launch Ginx eSports Pop-up and give Sky customers access to this hugely popular content,” said George McFarlane, Sky TV Director of Strategy. The three-month pop-up will bring Ginx eSports, the first and largest eSports TV network in the world, to TV. 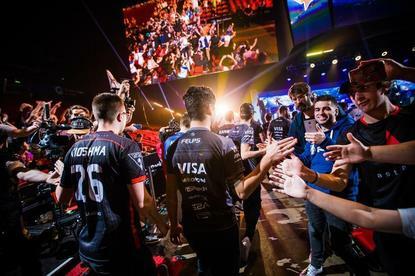 Currently available in more than 55 million homes, across more than 50 territories in 10 languages, Ginx eSports TV aims to extend the reach of eSports into mainstream sports audiences. Ginx eSports TV pop-up will feature prestigious eSports tournaments together with news, lifestyle, documentary and presenter-led live shows filmed and produced at its London headquarters. As well as broadcasting live tournaments, Ginx offers viewers round the clock eSports news, recaps and live entertainment formats, telling the stories of the players, the teams and the behind-the-scenes at events from across the globe. “The global appetite for eSports has never been greater” said Sam Butler, Director of Affiliate Sales at Ginx eSports TV. Sky Started customers can watch Ginx eSports TV Pop-up from August 13th on Sky channel 159 and channel 059.